Are you in the team? 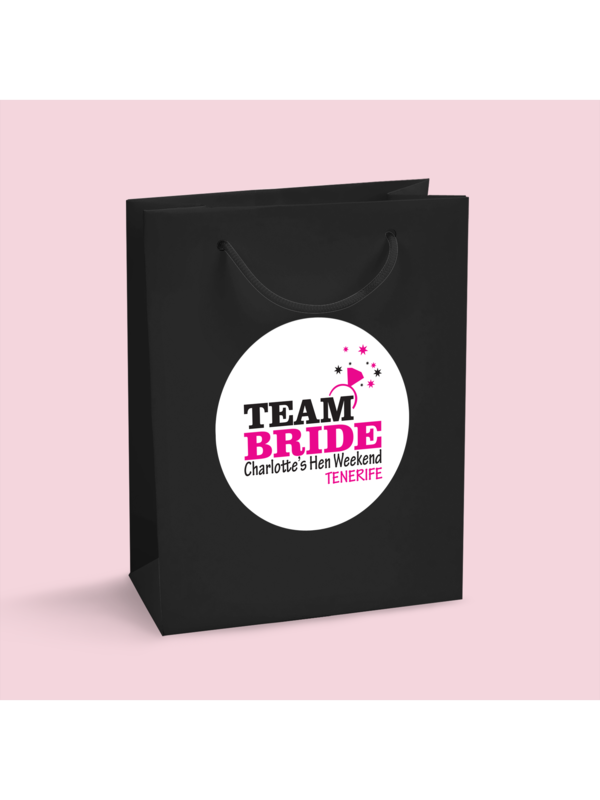 If you're considering a 'team bride' theme for your hen party then we have some treats for you. This personalised hen party gift bag can include the bride to be's name, the location and date of the hen party. The gift bag is a high quality with lots of space for you chosen hen bag treats! Bags and stickers supplied separately. Showing our 2 Hen Party Superstore Team Bride Personalised Hen Party Gift Bag reviews with an average rating of Excellent. Would you like to write a review? Bride-to-be thought it was awesome! She loved the product. Delivery was on time which was the main thing for me. Thank you.